Karnataka Small Scale Industries Association (Kassia) has urged for setting up a joint action committee of southern MSME associations to implement government programmes in South India. 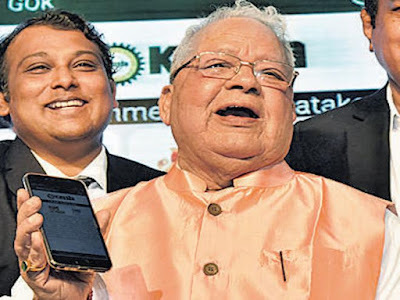 Kassia submitted a memorandum to Kalraj Mishra, Union Minister for MSME in this connection. “We have requested setting up of a Joint Action Committee (JAC) of Southern Industry MSME Associations, comprising the six States namely Goa, Karnataka, Andhra Pradesh, Kerala, Tamil Nadu and Puducherry to look into the interests and objectives of MSMEs,” Kassia said in its memorandum. The JAC should meet in certain frequencies, for example once a month or twice a quarter, across the southern states along with Central Ministers and the officials of various MSME departments, the memorandum said. Earlier in the day, Mishra launched ‘My KASSIA’ mobile app and a MSME Handbook in Kannada. The handbook is the first MSME handbook in the country on the MSME sector in a regional language.